The body of a man was found on the waterline just after 9.30pm on Friday. 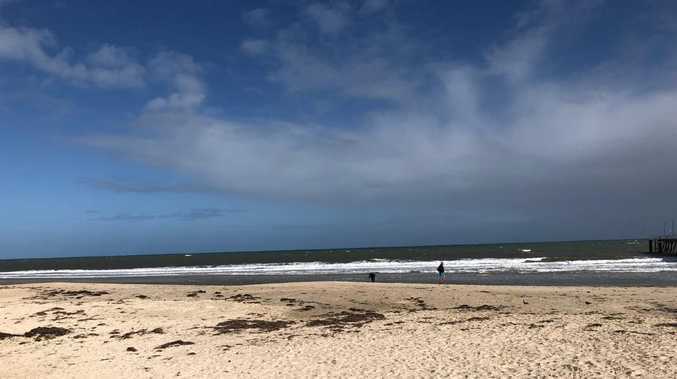 Police are investigating the circumstances behind a man's body washing up on the beach at Glenelg North. Detectives and forensic services scoured the scene with one police officer seen holding a fishing rod which was later taken to a police car. Detectives could be seen door knocking beachside properties as uniformed officers remained with the body. The cause of death and the man's age are currently unknown.